Why Lean Change? Because it works better. We know that taking Lean and Agile approaches have proved to be significantly more effective in developing software. However, as change leaders and managers, we work at a level of complexity equalling if not exceeding that of software challenges. When we take a Lean/Agile approach, we markedly improve our effectiveness. This one-day hands-on strategy session aligns all major stakeholders on the directions of your transformation. 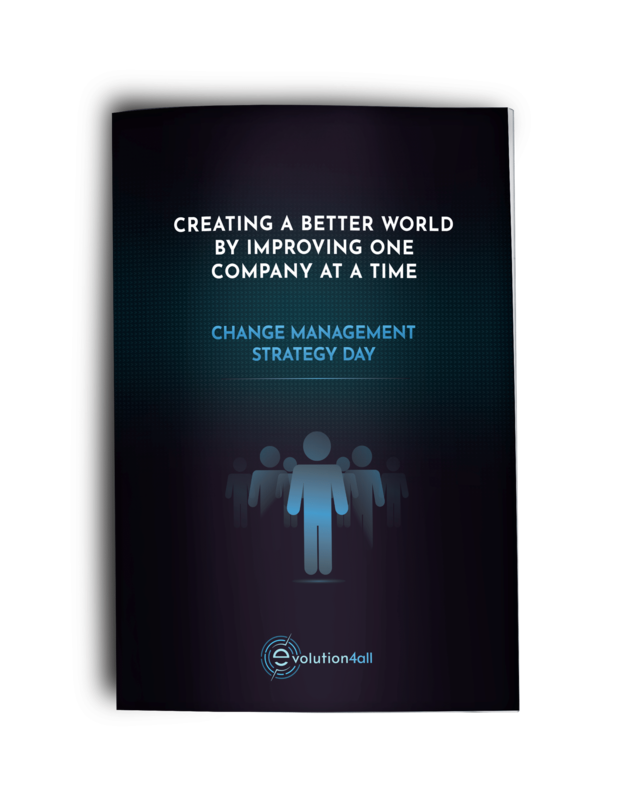 Start your revolution with this Lean Change Management Strategy Session. Lean Change is a co-creation-led, responsive and experimental approach to change. It sees change as a social movement. If you want to know more about this package feel free to contact our team.